Its certainly early 20th century, maybe older. Arrived chipped even due to the extremely well packaging....which was odd. Perhaps that is why it was such a great price but, it wasn't noted in the description. I didn't examine the photo either, so perhaps it was my fault. I gave it 5 stars, just in case I was mistaken. Fast shipping and well wrapped though. 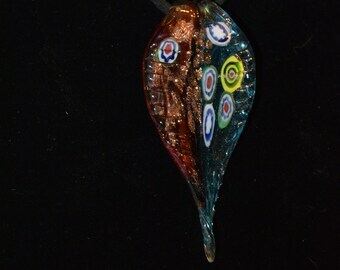 Very cool little pendant! Exactly as described. Payment can be made via Etsy or Paypal . Refunds are accepted within 14 days. Damaged packaging/ lost items are covered under USPS insurance to its maximum coverage. We will ship USPS Priority which includes 100 dollars insurance and tracking. If shipping internationally any fees or duties, tariffs are the responsibility of the buyer. Custom items can be made , for example with Up-cycled windows . We can discuss what you are looking for and quote you. Any Military items are guaranteed vintage and original. We do not sell reproductions on Etsy. Any Ancient Jewelry is guaranteed to be the real thing and anywhere from 0ver 2000 years old to 200 years old. 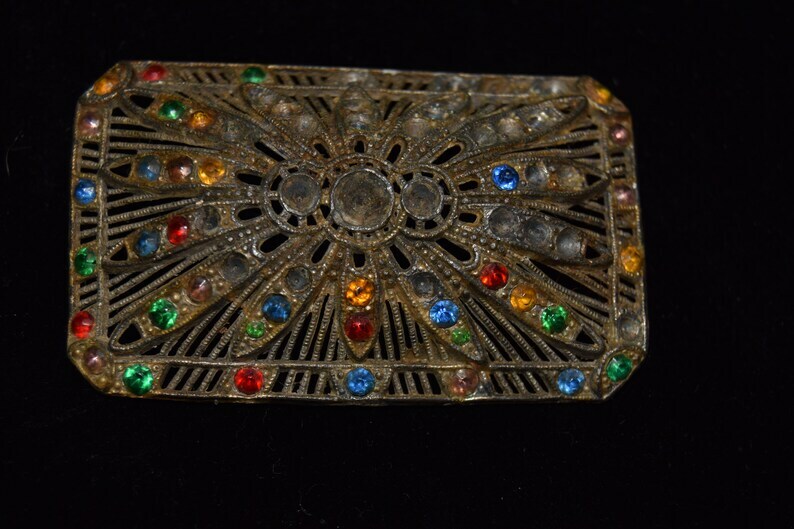 Vintage items are 19th to early 20th century. Upcycled Birdhouse made from Synthetic wood and Tin. 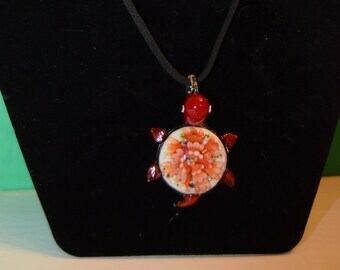 Turtle shaped blown /spun glass necklace , red glass with a flroal design.